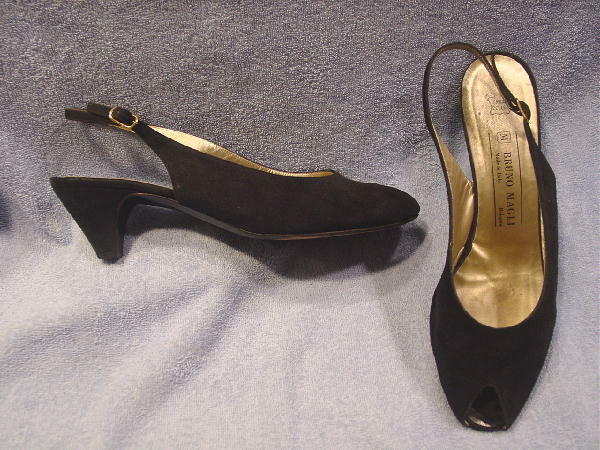 These vintage peak toe black soft suede slingbacks are by Bruno Magli and were made in Italy. 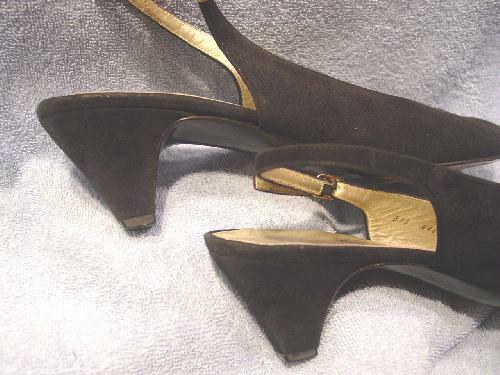 They have gold-tone leather insoles and linings. The left shoe has some light scuff marks and a little spot on the outer and inner ball area near the sole where the suede is missing. 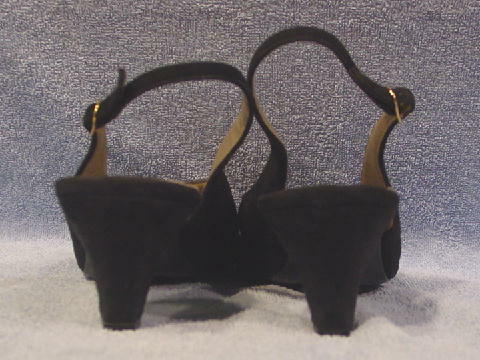 The right shoe has some light scuff marks and the outer side of the footbed has some small areas where the suede is missing. They have new black rubber heels. They're from a former British model. She wore them a lot, but took good care of them.